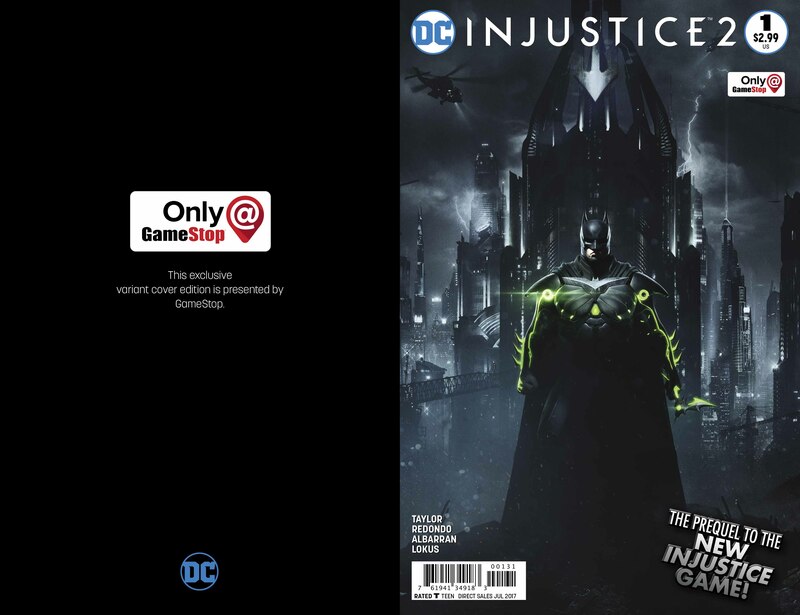 Tom Taylor and Bruce Redondo deliver the goods in a fast, funny and thoroughly entertaining opener to this tie-in to the upcoming video game, Injustice 2. This review contains minor spoilers. With Injustice 2 just around the corner now, that means DC are bringing back their smash-hit comic book tie-in that expands on the universe of the already smash-hit video game series. What’s even better is that Tom Taylor, the original writer of the series, is returning for the prequel to the sequel. This is a highly-anticipated first issue, then, and thankfully, it manages to live up to the hype. 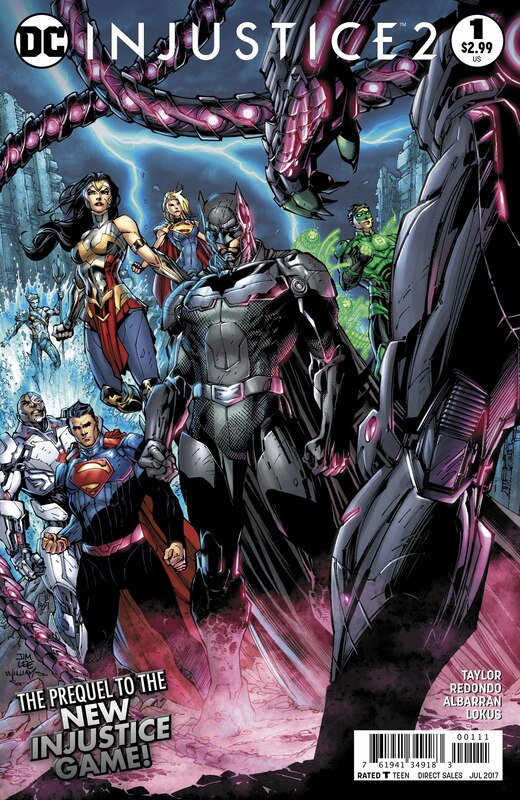 Injustice 2 #1 follows the events of the first game, where Batman and his allies have brought down Superman’s totalitarian regime. 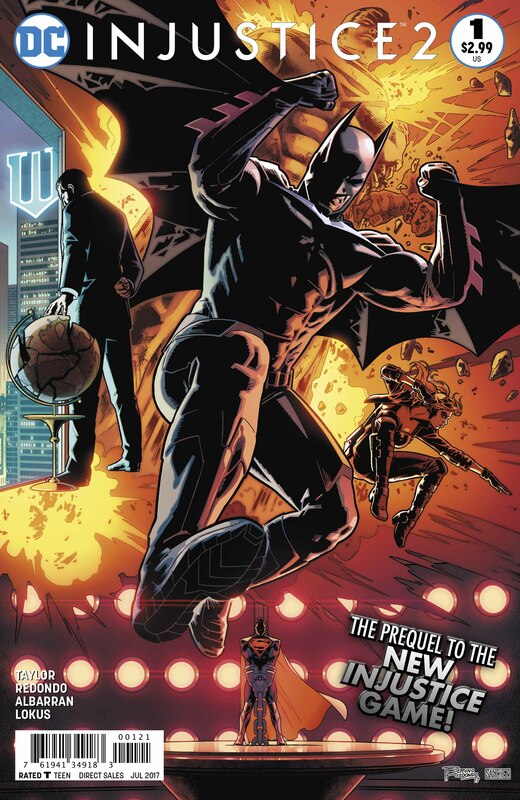 Can Bruce Wayne now trust himself not to be just as corrupted with ultimate power? 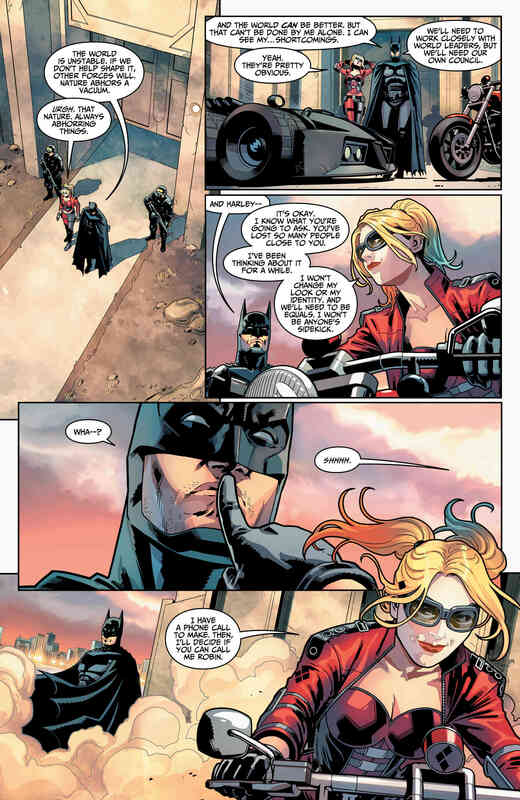 Meanwhile, with all the Robins gone, Harley Quinn is operating as the Dark Knight’s sidekick. 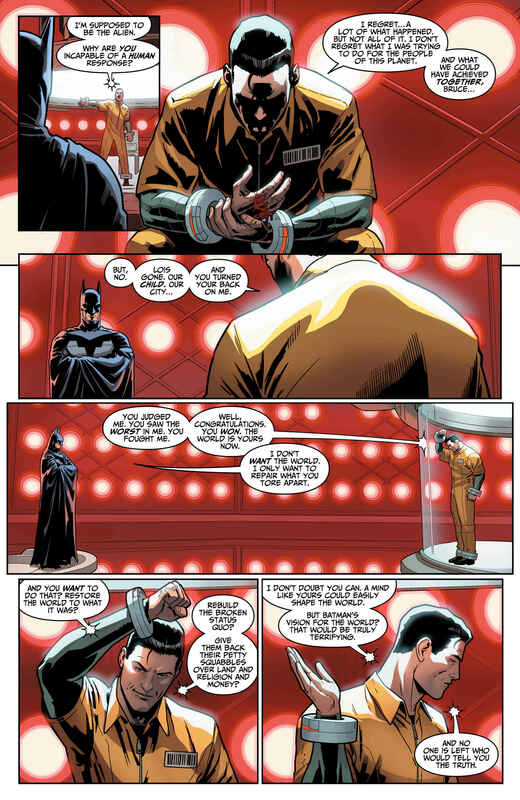 But, while Batman has forgiven Harley’s past crimes, that doesn’t mean everyone has. Lastly, we also check in on Oliver Queen and Dinah Lance, now in hiding in another universe and raising their child Connor, as an old ally visits them. 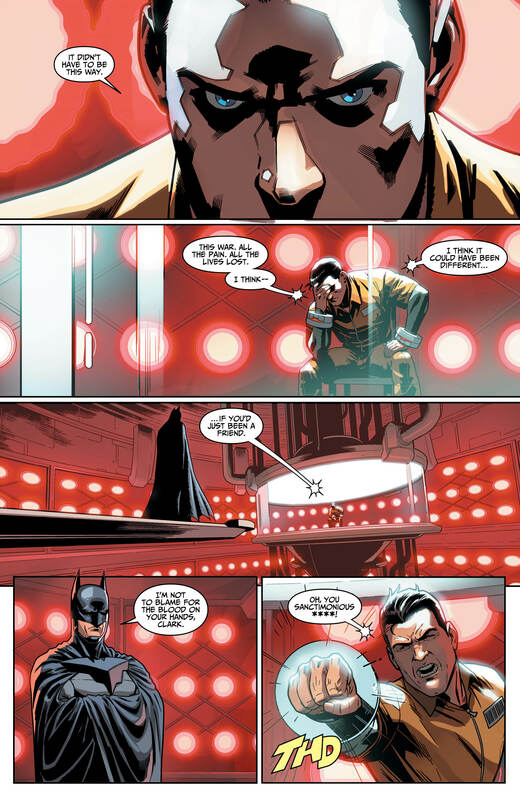 First of all, if you’re somehow new to the Injustice universe, this issue briefly and effectively recaps the set-up of the universe in just a couple of panels of dialogue on the opening page. Most will know the drill: the death of Lois, the loss of his unborn child and the destruction of Metropolis all conspired to turn the Man of Steel from hero to tyrant. With Supes now locked up, this isn’t one of the most blood-thirsty issues and is actually a very fun, fast-paced read. 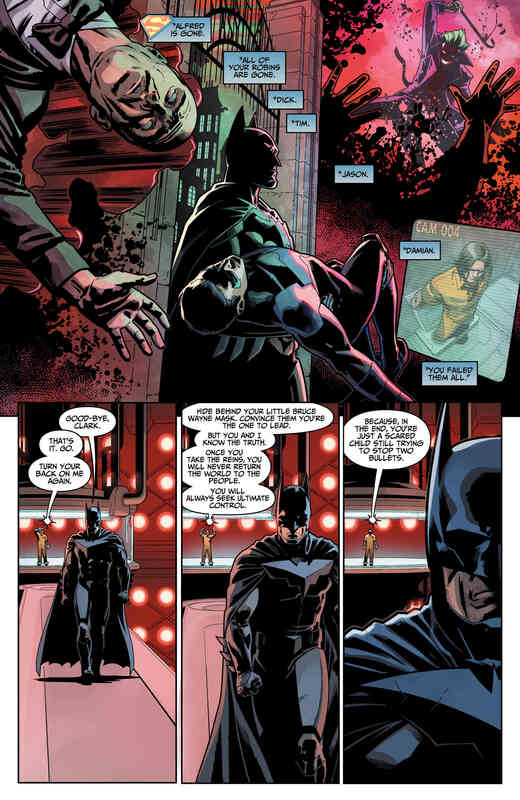 There is some drama over Batman beginning to understand the weight of his position, but really, the issue belongs to someone else. Yes, the highlight of the book has to be Harley Quinn. 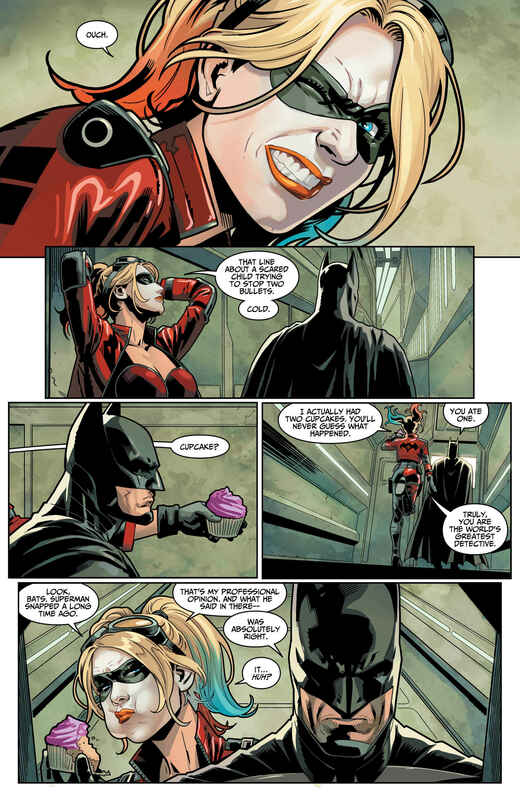 Despite the world going to pot around her, Harley is still her chipper, larger-than-life self and her unlikely partnership with Batman makes for some hilarious comic relief (“I actually had two cupcakes. You’ll never guess what happened.” “You ate one.” “Truly, you are the World’s Greatest Detective.”). Taylor is one of those writers who totally understands why we love Harley so much and it’s a joy to read his rendition of the character again. Likewise, Taylor’s Superman is terrific, as he’s so different from the norm (seriously, he even trash-talks!). Bruno Redondo is also back in the fold on art duties, and we couldn’t be happier as he brings his A-game as usual here. Redondo’s rendition of each character is pitch-perfect and he’s a dab hand at both the action and the humour. One big belly laugh can be had, for example, from the sight of a dejected Doctor Fate hanging his head with a children’s sucker arrow stuck to his helmet. With spot-on writing from Tom Taylor and exquisite art from Bruce Redondo, Injustice 2 #1 is an excellent start to this new run. There’s some great character work, lots of humour and a strong set-up for future drama. Plus, there’s a killer cliffhanger – literally – which has already got fans talking. Can everything be as it appears? We’ll have to wait to find out.